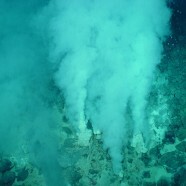 The origins of life is one of the biggest, most exciting and most elusive questions in science. Getting at an answer requires skills and expertise from across many disciplines, transcending traditional boundaries between subjects. The UCL Origins of Life Programme brings together researchers from diverse backgrounds and seeks to foment a melting pot of cross-disciplinary ideas and expertise. The Second UCL Symposium on the Origins of Life is a one-day platform bringing together world-class scientists researching disciplines from planetary sciences to the chemistry of nucleic acids, from bioenergetics to phylogenetics. International speakers are presenting their work alongside prominent researchers from UCL, and the organisers hope that this meeting will serve as inspiration for people working on this subject matter and a wider audience interested in the origins of life on earth. The symposium is free to attend, but registration is required. More information, and the link to register, can be found here.